Hey everyone! It's Jenn- and I am *wicked* excited to be guest designing here at Paper Made Bakery this month- I hope you enjoy my creations just as much as I enjoyed making them! 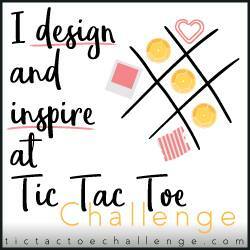 It is such a fun challenge to create items just from the kit. I love how it gets me a bit out of my comfort zone and in a different play mode. I love the mix of pattern papers the Glitz 6x6 pad gives you and when you fall in love with a pattern that's ok because there are 3 sheets of the same one! *phew* For the sentiment I cut a strip out of the same background paper (it actually was my scrap when I cut the 6x6 piece down to 4 x 5.25 to fit the card) and made it into a pennant. I used some foam tape to set it up off the card and give it a little dimension. For some extra glitz I added a little gold stickles here and there, it's a bit tough to see in the picture, but it is really pretty in person! 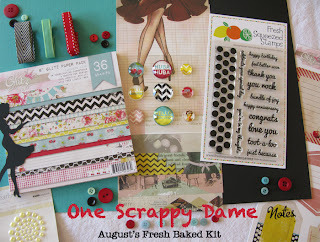 Hope you enjoyed this creation and it inspires you to see what you can do with the "One Scrappy Dame" kit ! I'll see you next Tuesday! Nice card. The red ribbon really makes it pop. 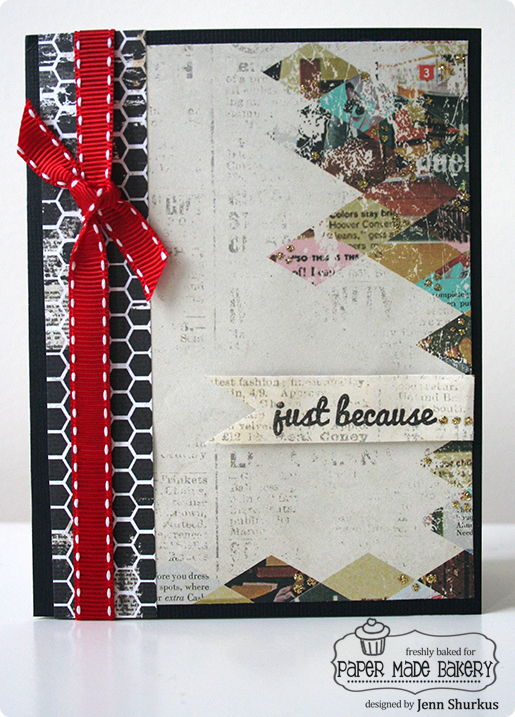 Love the combination of pattern paper with that fab red ribbon! Love your card and the added glitz!